If the job of organizing team snacks has fallen to you, you’re in luck! 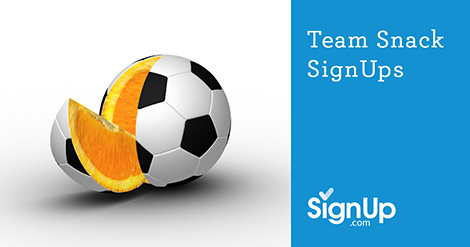 Save time this season and plan smarter with free, online Team Snack SignUps from SignUp.com. Coaches and team leaders can build their snack schedules in minutes and invite parents via email, social media, or the team website. 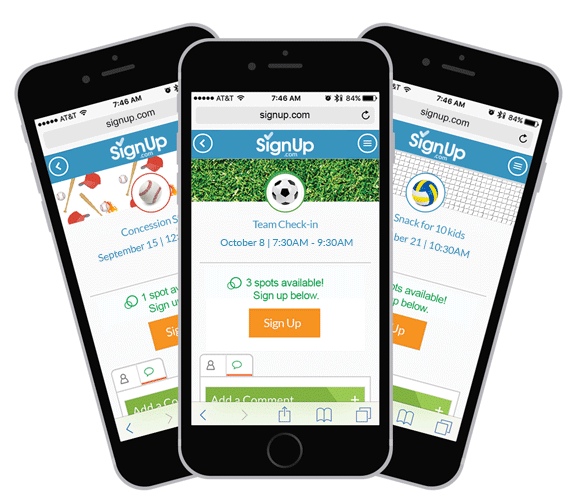 Team parents can sign up from their mobile devices or computers (no passwords needed)! SignUp.com offers eCalendar syncing and automated email reminders to keep everyone informed and on target. Busy team leaders and coaches avoid last-minute phone calls and the endless loop of reply-all emails. Plus, organizers can import their team rosters directly from helpful apps like TeamSnap right into their account at any time on any device they choose!